The Life Sciences Centre (LSC) was designed by Ray Affleck of the Montreal firm Affleck, Desbarats. 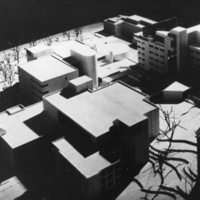 It was designed to fit in between existing buildings and to house the departments of biology, psychology, and oceanography in separate but connected sections. In 1969, construction began on the poured concrete building. 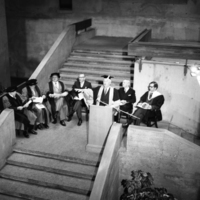 The building was a departure from the more traditional buildings on the campus, and it won an award of excellence from the Canadian Architectural Yearbook in 1968. The building’s facilities include (or have included) aquatic tanks supplied by salt-water lines connected to the Northwest Arm, a salt water research facility called the Aquatron, the Thomas McCulloch Museum, a photographic suite, a microscopy area, a radiation facility, a greenhouse, and an observatory. 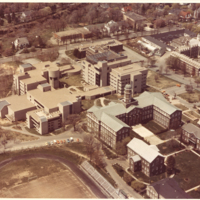 The building was completed in 1971 and a final cost of over $18 million. 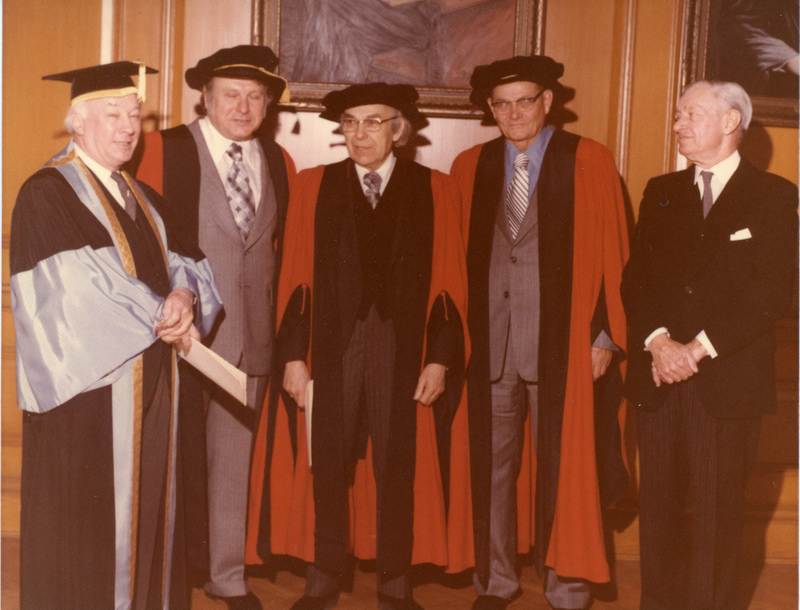 The building was officially opened in 1974 with a special convocation attended by Nova Scotia Premier Gerald A. Regan, Minister of Regional Economic Expansion Donald C. Jamieson, Nova Scotia Member of Parliament Allan J. MacEachen, and others. In 1991, an eighth floor was added to make room for the Ocean Production Enhancement Network. The addition won the Lieutenant-Governor's Design Award for Architecture. 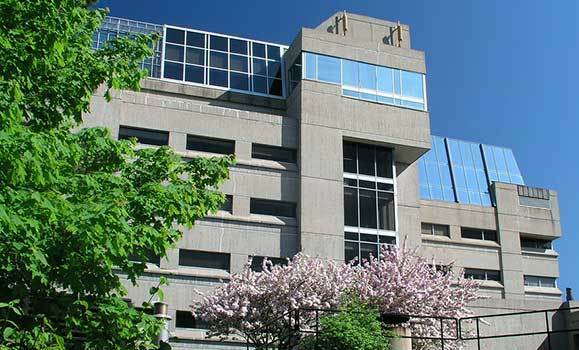 Today, the LSC is also home to the departments of Biology, Psychology & Neuroscience, Oceanography, and Earth Sciences. The LSC also houses the Clean Technologies Research Institute (formerly the Institute for Research Materials), Science Atlantic, and the Trace Analysis Research Centre. 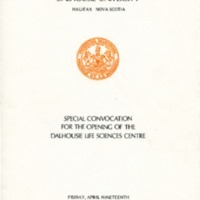 “Life Sciences Centre- Biology & Earth Science Building,” The Buildings of Dalhousie: An Illustrated History, Dalspace. 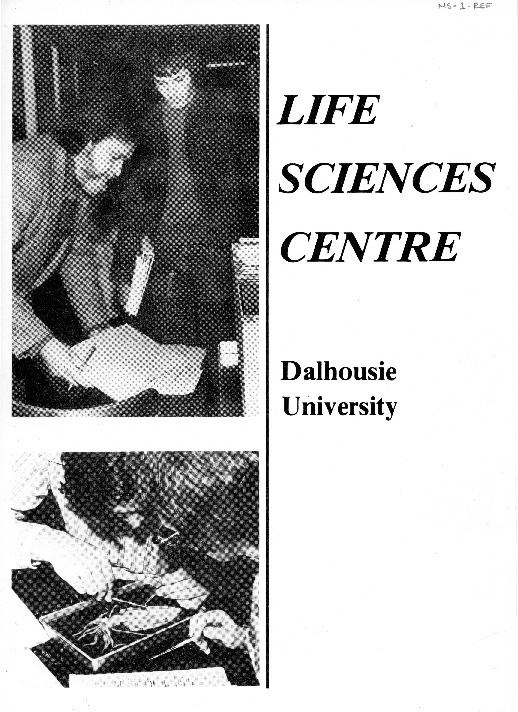 “Life Sciences Centre,” Building Directory, Dalhousie.